In the case of Burnside v. Peterbilt Motors Co., 3:17-CV-2121 (M.D. Pa. June 28, 2018 Mariani, J. ), the court granted a Defendant’s Motion to Dismiss based upon jurisdictional objections. This products liability claim arose out of an incident during which the Plaintiff was injured when a bobtail truck he was using began leaking propane and then caught fire. Judge Mariani provided a detailed review of the current standards for properly finding jurisdiction over a foreign defendant in a Pennsylvania federal court matter. In this matter, the court stated that the Plaintiffs did not allege that the Defendant directed any activities to Pennsylvania or sent the product at issue to Pennsylvania. 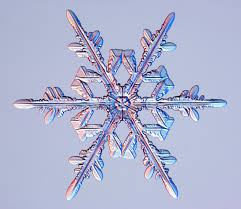 The court also noted that the Plaintiff did not even allege how the product came to be in Pennsylvania. The court ruled that a Plaintiff cannot establish personal jurisdiction over a Defendant through the stream of commerce theory under the facts of this case. As such, the court granted the Defendant’s Motion to Dismiss but allowed the Plaintiff to conduct limited jurisdictional discovery before the case was completely dismissed. I send thanks to Attorney James M. Beck of the Reeds Smith law firm in Philadelphia for bringing this case to my attention. In the case of Pollack v. Shell, No. 14-CV-8009 (C.P. Lacka. Co. Aug. 7, 2018 Nealon, J. ), the court addressed theories of liability asserted against an out-of-possession landlord in a dog bite case involving a pit bull. 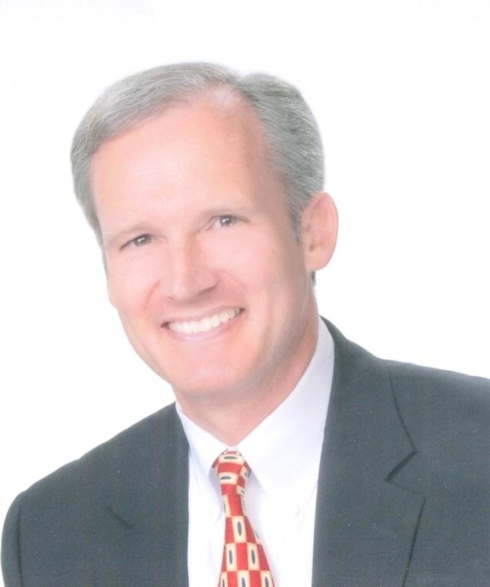 Judge Terrence R. Nealon of the Lackawanna County Court of Common Pleas reviewed the current status of Pennsylvania law in this regard and noted that, in order for liability to rest against an out-of-possession landlord in this context, a plaintiff must prove that the out-of-possession landlord had actual knowledge of the presence of the animal on the premises and possessed the right to control or remove the animal by retaking the leased premises. Here, the court found issues of fact prevented the entry of summary judgment on the negligence allegations asserted by the Plaintiff. 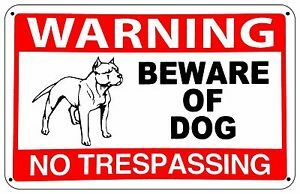 The record contained evidence of alleged knowledge on the part of the landlord of prior attacks/bites by the dog along with evidence that the landlord had the right to retake the premises from the tenant and did not do so. However, the court did grant the Defendant's Motion for Summary Judgment against the punitive damages claims as facts only showed alleged negligence on the part of the landlord. The record was noted to be devoid of any evidence that the landlord acted in conscious disregard of a known risk or harm to others. Have a dog bite case you are trying to settle? Please do not hesitate to let me know if I can assist as a Mediator. Resume and fee schedule available by contacting me at dancummins@comcast.net. In the case of Maas v. UPMC, 2018 Pa. Super. 195 (Pa. Super. June 29, 2018 Bowes, J., Stabile, J., Ford Elliot, P.J.E.) (Op. by Bowes, J. ), the Pennsylvania Superior Court denied a Defendant’s Motion for Summary Judgment involving a case on the duty of psychiatric treatment providers to warn others of dangers posed by psychiatric patients. According to the Opinion, the psychiatric patient threatened to kill “neighbors” and described a sufficiently ascertainable group such that the law imposed a duty upon the treatment providers to warn those persons of the threats. The court noted that a duty to warn exists under these circumstances where the target is identifiable, not just identifiable by name, such that the mental health professionals must use reasonable efforts to identify the potential victims and provide them with warnings. In the case, the court noted that the potential group of victims was about 20 people, which was deemed to be manageable of people to warn. To review this case, please click HERE. In the case of Webb-Benjamin LLC v. International Rug Group, LLC, 2018 Pa. Super. 187 (Pa. Super. June 28, 2018 Stabile, J., Musmanno, J. and Ford Elliot, P.J.E.) (Op. by Musmanno, J. ), the Pennsylvania Superior Court reversed a trial court’s decision sustaining the Preliminary Objections filed by a Connecticut Defendant. The Superior Court ruled that the trial court erred in holding that the trial court did not have personal jurisdiction over the Defendant Connecticut company in a breach of contract action because the Defendant registered to do business in Pennsylvania as a foreign association and nothing under 42 Pa. C.S.A. §5301 limited jurisdiction over foreign associations to claims that only occurred after registration. 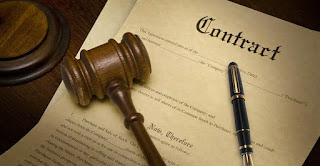 The Superior Court additionally found that, by registering in Pennsylvania to do business, the Connecticut Defendant consented to general personal jurisdiction. Source: “Digest of Recent Cases.” Pennsylvania Law Weekly (July 24, 2018). For an excellent analysis on this issue, check out this LINK to an article by Attorney Dale Larrimore of the Philadelphia law firm of Larrimore & Farnish, LLP entitled "Personal Jurisdiction Over Out-of-State Corporations After Daimler - What Now?" In the case of Hammons v. Ethicon, Inc., 2018 Pa. Super. 172 (Pa. Super. June 19, 2018 Ott, J., Stabile, J., Stevens, P.J.E.) (Op. by Stabile, J. ), the Pennsylvania Superior Court reviewed several civil litigation issues of interest in this products liability case. In the end, the court affirmed a judgment in favor of the Plaintiffs on appeal. With regards to issues pertaining to personal jurisdiction over Defendants, the court reaffirmed the rule that a Defendant challenging personal jurisdiction has the burden of supporting that objection. See Op. at 15. First, a defendant must have purposefully conducted activities within the forum state, or must have purposefully directed its conduct towards the forum state. Second, the plaintiff’s claim must arise out of or relate to the defendant’s activities in the forum state or directed towards to the forum state. Third, overall, a finding of jurisdiction over the defendant must be fair and reasonable. Here, the court found that the Defendant’s suit-related contacts justified jurisdiction in that the particular Defendant supervised the design and manufacturing process of its product in Pennsylvania in collaboration with a Pennsylvania company. The court additionally noted that this particular Defendant also worked with a Pennsylvania physician in developing and marketing the product which, in this case, was a medical product used to treat prolapsed pelvic organs. In another notable decision on a separate issue, the Pennsylvania Superior Court ruled evidence of spoliation may be admitted at trial under principles of relevance and prejudice even where a spoliation-related sanction is not issued by the court. See Op. at 56. The court found that evidence of document destruction in this case was highly relevant under the case presented and that the probative value of that evidence outweighed any prejudice to the Defendant. In this decision, the court also addressed the Defendant’s Motion for Remittitur, seeking a reduction of the substantial verdict. Applying Pennsylvania law, the Pennsylvania Superior Court affirmed the trial court’s decision denying the Defendant’s Motion in this regard. The Superior Court reaffirmed that, under Pennsylvania law, the decision to grant a remittitur depends on whether the award of compensatory damages lies beyond “the uncertain limits of fair and reasonable compensation” or whether the verdict “so shocks the conscience as to suggest that the jury was influenced by partiality, prejudice, mistake, or corruption.” See Op. at 69. The Pennsylvania Superior Court in this Hammons case also reaffirmed the law of Pennsylvania that Rule 238, pertaining to the imposition of delay damages, limits the calculation of the delay damages to compensatory damages. The court stated that, even after amendments to Rule 238 from back in 1988, Rule 238 delay damages are not to be applied to the punitive damages aspects of a jury’s verdict. In the case of Balentine v. Chester Water Authority, No. 119 MAP 2016 (Pa. Aug. 21, 2018 Mundy, J.) (Justices Todd, Dougherty, and Wecht joined in the majority Opinion) (Baer, J., concurring) (Saylor, dissenting, J. ), the Pennsylvania Supreme Court addressed the issue of whether the Commonwealth Court erred in holding that the involuntary movement of a vehicle does not constitute operation of a motor vehicle for purposes of the vehicle liability exception to governmental immunity under 42 Pa. C.S.A. §8542(b)(1). The Supreme Court reversed the Commonwealth Court's decision and, in the process, 30 years of precedent on the issue presented. By way of background, the Plaintiff's decedent was a contractor hired to rehabilitate a section of a water distribution system. At the time of the accident, the decedent was working just off to the side of a two lane road. The decedent was inside a ditch located on the grassy strip between the sidewalk and the curb when an inspector drove up to the work site and parked his vehicle, with the engine running, approximately 10-15 feet from the ditch. A few moments later, a vehicle operated by another person struck the inspector's parked vehicle, causing it to move forward. The parked vehicle struck the decedent was he stood in the ditch, drug him out and pinned him under the vehicle when it came to a stop. The decedent sustained fatal injuries. The decedent's estate filed a lawsuit against various Defendants. Certain governmental Defendants obtained summary judgment from the lower court under an argument that neither the motor vehicle exception nor the traffic control device exception to governmental immunity set forth in the Political Subdivision Tort Claims Act applied. On appeal, a divided panel of the Commonwealth Court affirmed the trial court's decision. Relying upon the fact that the vehicle at issue was parked at the time of the accident, the majority in the Commonwealth Court considered itself “constrained” to conclude as a matter of law that that vehicle was no longer in operation when the accident occurred. As such, the Commonwealth Court concluded that the involuntary movement of that vehicle did not constitute ‘operation’ for purposes of the motor vehicle exceptions to governmental immunity. Further up on the appellate ladder, after reviewing the law behind the Tort Claims Act, the majority of the Pennsylvania Supreme Court held that movement of a vehicle, whether voluntary or involuntary, is not required by the statutory language of the vehicle liability exception. As such, the Supreme Court reversed the decisions of the lower courts and remanded the case back the trial court. With its ruling, the Pennsylvania Supreme Court overturned thirty (30) years of precedent on this particular issue, including numerous prior decisions where the immunity was held to apply in accidents involving vehicles that are stopped or parked. That is no longer the law under this decision. The Pennsylvania Supreme Court ruled, in this case, that “[w]here a government vehicle obstructs a roadway, in whole or in part, we can assume, absent evidence to the contrary, that a government agent operated the vehicle to arrive at that position.” See Op. 15. More specifically with respect to this case, the court found that, if a Plaintiff establishes that his injury was caused by an illegally parked government vehicle, but the movement of the vehicle itself did not cause the injury, the government would not avoid liability simply because the government vehicle was not “in motion” at the time of the injury. Id. at 15-16. The Pennsylvania Supreme Court adopted the definition of an operation of a vehicle voiced by Justice Newman in her Dissenting Opinion in the case of Warrick v. Pro Cor Ambulance, Inc., 739 A.2d 127, 129 (Pa. 1999) (Newman, J. dissenting). Justice Newman recognized in that Dissenting Opinion that the operation of a vehicle “reflects a continuum of activity,” which entails “a series of decisions and actions, taken together, which transport the individual from one place to another. The decisions of where and whether to park, where and whether to turn, whether to engage brake lights, whether to use appropriate signals, whether to turn lights on or off, and the like, are all part of the ‘operation’ of a vehicle.” Id. at 128. (Newman, J. dissenting). 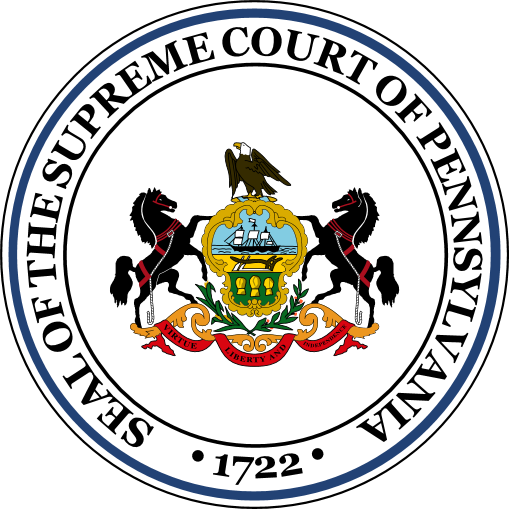 The Pennsylvania Supreme Court in this Balentine case adopted Justice Newman’s definition, and found that definition to represent a reasonable standard that comports with the intent of the legislature behind the Tort Claims Act and avoids what the Pennsylvania Supreme Court deemed to be illogical results over the past 30 years of precedent that flowed from the prior emphasis on the need for motion in the previous cases. In the case of Campbell v. State Farm Fire & Cas. Co., No. 2:18-cv-00292 (W.D. Pa. July 18, 2018 Hornak, J. ), the court granted a carrier’s Motion to Dismiss a lawsuit filed against the carrier for breach of contract for failing to pay for fire damage to the Plaintiff’s home and for bad faith related to an alleged denial of the claim for coverage without a legal basis to do so. The court ruled that the Plaintiff had failed to state a valid cause of action with regards to the breach of contract claim and the coverage issues presented in this fire loss case. More specifically, the court found that the premises in question did not meet the policy definition of residential premises so as to entitle the insured to coverage under the policy. 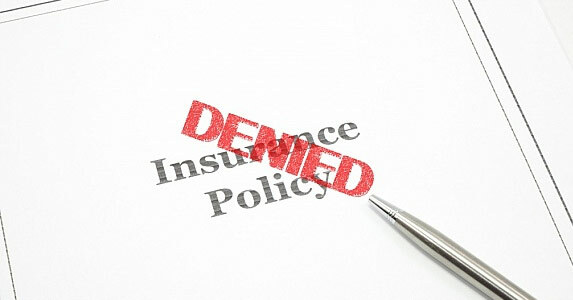 The court noted that, in light of the dismissal of the breach of contract claim after the finding of no coverage under the policy, the Plaintiff’s bad faith claim could not survive in the absence of any coverage under the policy. As such, Plaintiff’s Complaint as dismissed with prejudice in its entirety. I send thanks to Attorney Lee Applebaum, the writer of the excellent Pennsylvania and New Jersey Insurance Bad Faith Case Law blog and of the Philadelphia law firm of Fineman, Krekstein & Harris for bringing this case to my attention. 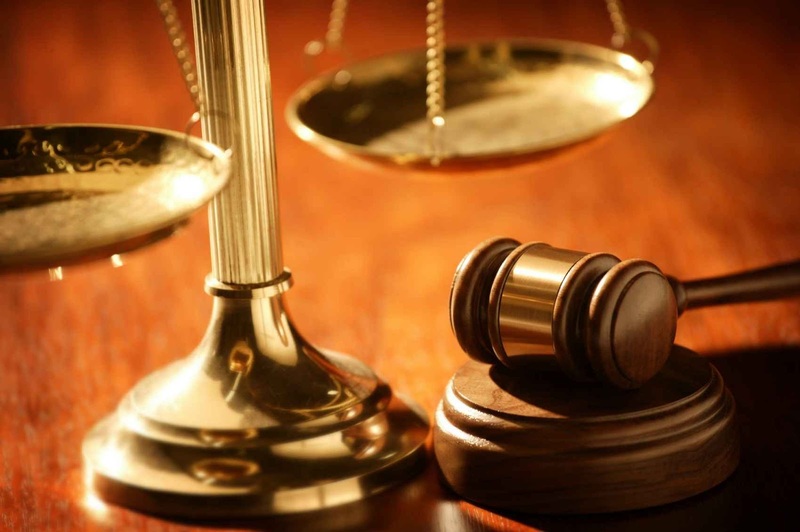 Click HERE to check out Attorney Applebaum's bad faith case law Blog. In the case of Fusco v. Uber Technologies, Inc., No. 17 - 00036 (E.D. Pa. July 27, 2018 Goldberg, J.)(Mem. Op. ), the court granted Uber’s Motion for Summary Judgment as to negligent hiring, retention and supervision claims in a case of an Uber driver who allegedly attacked the Plaintiff customer. The court granted the Motion given that there was no record of any alleged instances of past misconduct by the offending driver. The court noted, however, that, after the Plaintiff filed his Complaint, news outlets in the area reported that the driver involved in the incident had a prior criminal conviction. As such, the court granted the Plaintiff leave to amend his Complaint as to these claims and deferred consideration of the driver’s past conviction until a later date in the proceedings. By way of background, the Plaintiff attended a party in the University City neighborhood of Philadelphia. Given that the Plaintiff had alcohol at the party, he contacted Uber for a ride to his home in Cherry Hill, New Jersey. According to the Opinion, the Uber app conceals the customer’s destination until the start of a booked trip. Accordingly, when a driver arises to pick up the Plaintiff, he does not know the Plaintiff’s destination. The app is apparently set up in this way so as to the prevent drivers from declining routes they deem to be less profitable. According to the Opinion, Uber does not allow drivers to refuse a trip after learning of a customer’s destination. In this matter, when the Uber driver arrived, he refused to take the Plaintiff to his home in southern New Jersey. The Plaintiff remained seated in the car and repeated his request to be brought home. At that point, the driver dragged the Plaintiff out of the car, kicked him and beat him, leaving the Plaintiff unconscious and bleeding. 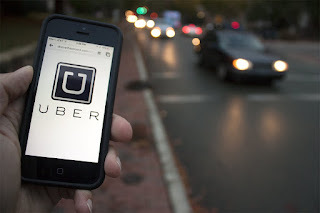 The Plaintiff later filed this suit against Uber asserting a negligent hire claim, fraud and related misrepresentation claims, and vicarious liability claims. The court reviewed the law requiring the Plaintiff to show that the employer was on notice of an employee’s propensity for misconduct. As there was no such information pled in the Complaint or otherwise found in the record, the court granted Uber’s Motion to Dismiss. However, as noted, the Plaintiff was allowed to amend the Complaint given the recent news that had come out that the driver in the incident had a prior criminal conviction. Here is the missing LINK to yesterday's post on Judge David J. Williamson's Monroe County decision on the Gist of the Action Doctrine in the Weiss v. Nazareth Mut. Ins. Co. case. I apologize for forgetting to add the Link to the original post. In the case of Weiss v. Nazareth Mutual Insurance Company, No. 6293-Civil-2017 (C.P. Monroe Co. July 5, 2018 Williamson, J. ), Judge David J. Williamson of the Monroe County Court of Common Pleas granted Preliminary Objections under the gist of the action doctrine in a case arising out of an insurance claim following a fire loss. According to the Opinion, the Plaintiff claimed that, following the fire, the Plaintiff’s property was burglarized. As such, the Plaintiff submitted a claim to the insurance carrier with respect to the personal property that was allegedly stolen. In his Complaint, the Plaintiff asserted that the carrier had not acted upon his claim for some of the lost personal property. The Complaint additionally contained claims against a remediation company who worked on the premises following the fire. The Plaintiff alleged that the remediation company removed some of the Plaintiff’s property during the remediation project and never returned it to the Plaintiff. That remediation company filed various Preliminary Objections to the Complaint. In part, the remediation company asserted that the Plaintiff’s claims of negligence were barred by the gist of the action doctrine. Judge Williamson agreed, finding that this case was primarily a contract action and that the allegations of the negligence claim were nearly identical to those pled in the contract claim. As such, the negligence claim was stricken from the Complaint on the basis of the gist of the action doctrine. In another notable decision in this Opinion, the court dismissed the Plaintiff’s claim for negligent infliction of emotional distress after finding that the Plaintiff had failed to assert any physical harm as required by the elements of that cause of action. In the case of Hughes v. Wilkes-Barre Hospital, No. 16-CV-6463 (C.P. Lacka. Co. Aug. 9, 2018 Nealon, J. ), Judge Terrence R. Nealon addressed the standards applicable to a defense motion to seal informatio pertaining to a settlement in a medical malpractice case. In general, a defendant must establish that its interest in secrecy outweighs the well-settled presumption in favor of public access to the records of the taxpayer-supported judicial system. After weighing various factors, the Court denied the Defendants' motion to seal the record of the settlement in this matter was denied with respect to the Plaintiffs' filed petition for court approval of a minor's settlement. -Always arrive a half hour early for your argument or hearing so as to ensure that you will be on time. -Hand your business card to the court reporter prior to the start of the proceedings; write the name of your client on your card. -Be polite to the tipstaff and court personnel. -Always stand when addressing the court, even if other attorneys don't. -Try to always refer to the Judge as "Your Honor" instead of "Judge." -Always ask permission to approach or move about in the Judge's courtroom. -Always stop talking, even in mid-sentence, if the Judge starts to speak. -Never interrupt a Judge while she or he is speaking. 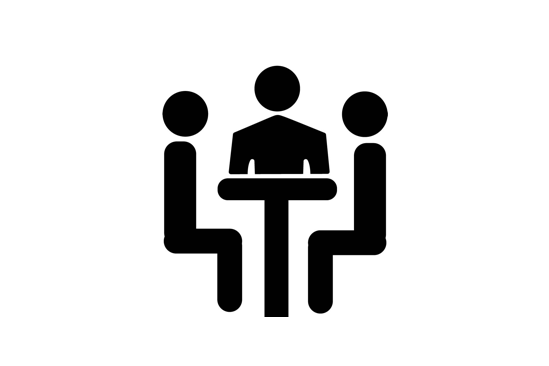 -Never interrupt opposing counsel -- 99% of the time you will get your chance to respond. -Don't make faces at opposing counsel's statements. Be stoic. Your calm, measured legal argument will win the day not your faces or sighs or shakes of the head. 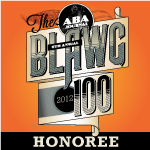 -Last but not least, keep your cell phone in your pocket or briefcase and give your full attention to the proceedings. The issue of bad faith claims in the first party benefits lawsuits was reviewed by the Eastern Federal District Court in the case of Shea v. USAA, No. 17-4455 (E.D. Pa. July 25, 2018 Surrick, J.). The issues came before the court on the carrier's motion to dismiss. Following the insured's involvement in a motor vehicle accident, the insured began to receive the benefit of her $100,000 in first party medical coverage under her own policy. At some point after a peer review, the carrier stopped the payment of the benefits. The Plaintiff filed a breach of contract claim, alleging violations of 75 Pa.C.S.A. Section 1797, and asserted bad faith conduct on the part of the carrier. The court noted that there are conflicting Pennsylvania state and federal court decisions on the crucial issue of whether the MVFRL's provisions pertaining to peer reviews of first party medical benefits supplants claims for breach of contract, bad faith, and consumer protection law violations. 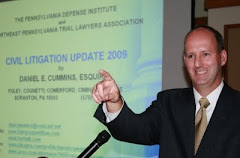 It was noted that, to date, the Pennsylvania Supreme Court has not addressed the proper interaction of these causes of action in the first party context. In his decision in this Shea case, Judge R. Barclay Surrick of the Eastern District Federal Court lays out the issues and the law in great detail and in an easy-to-follow fashion. The court rejected the defense contention that the MVFRL's peer review process preempts the existing common law remedy for breach of an insurance contract's implied covenant of good faith and fair dealing. The Court ruled that 75 Pa.C.S.A. Section 1797, which lays out the framework for first party benefits, does not prohibit an action for damages arising from an alleged breach of the insurance contract's implied covenant of good faith and fair dealing where those damages are otherwise available under the facts alleged. In reviewing the conflicting line of cases on the issue of whether a Section 1797 peer review claim can be asserted in the same case as a Section 8371 bad faith claim, the Shea court elected to side with what it termed as a growing number of cases that have fallen on the side of allowing both claims to be pled in a single action. In the end, the court in Shea held that, where it is alleged that a carrier failed to follow the mandates of Section 1797, a plaintiff's remedies are not limited to those stated under Section 1797, but could also include the remedies allowed under the bad faith statute found at 42 Pa.C.S.A. Section 8371. In the end, the court denied the carrier's motion to dismiss. Anyone wishing to review this decision may click this Memorandum Opinion may click this LINK. I send thanks to Lee Appelbaum, writer of the excellent Pennsylvania and New Jersey Insurance Bad Faith Case Law Blog, and from the Philadelphia law firm of Fineman, Krekstein & Harris for bringing this case to my attention. In his recent decision in the decision of Gordner v. McIntosh, No. 2017-CV-6468 (C.P. Lacka. Co. July 9, 2018 Nealon, J. ), Judge Terrence R. Nealon of the Lackawanna County Court of Common Pleas denied Defendant owners’ Preliminary Objections to the Plaintiff’s Complaint, including a demurrer to the Plaintiff’s negligence cause of action stated in this slip and fall case. 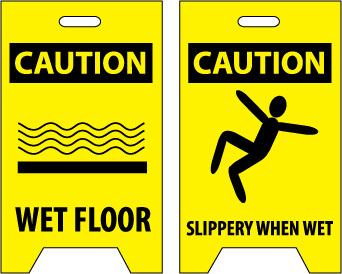 In addressing the demurrer to the Complaint, the court provided a detailed description of the current status of Pennsylvania law pertaining to slip and fall matters. In reviewing that law, the court noted that, although there are Pennsylvania cases that stand for the proposition that mere evidence of a highly polished floor, standing alone, is sufficient to sustain a negligence claim, other cases confirm that the manner in which the polish or wax was applied and maintained could give rise to a cause of action for negligence in slip and fall matters. 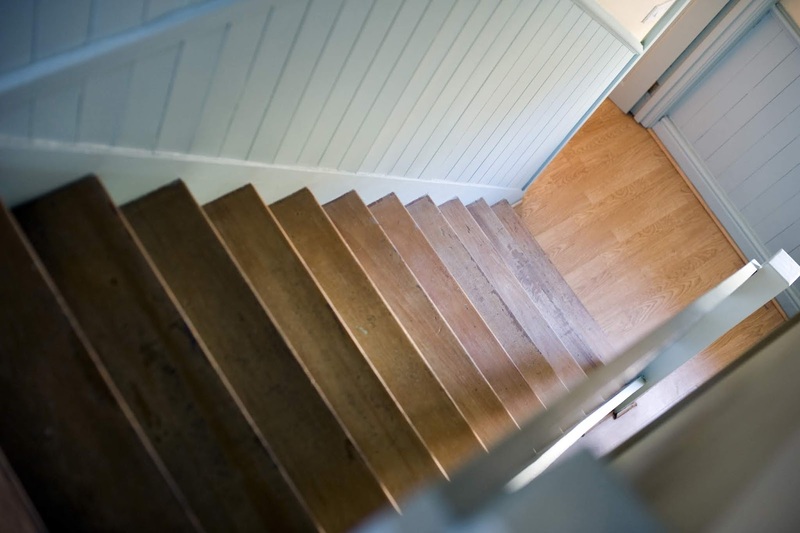 The court found that the Plaintiff stated a valid cause of action when the Plaintiff alleged that the landowners’ high gloss treatment of their hardwood stairs amounted to a negligent creation and maintenance of a hazardous condition. The Plaintiff had additionally alleged that the Defendants had failed to provide adequate lighting for the slippery stairs and/or to warn all invitees of the hazardous condition of the stairs. 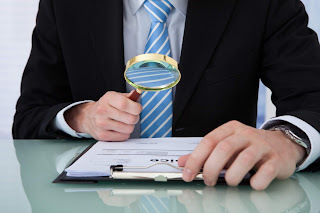 The court found that, accepting the Plaintiff’s allegations as true as required by the standard of review for a demurrer, the Plaintiff’s Complaint stated a cognizable negligence claim. The court in this matter otherwise sustained the landowner Defendants’ demurrer to the Plaintiffs’ claim for attorney’s fees given that the Complaint failed to reference any statutory, contractual, or decisional basis for the claim for counsel fees. 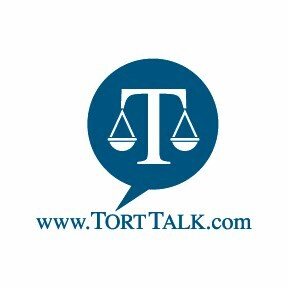 As such, the court found that any claim for counsel fees in this tort action is insufficient as a matter of law. Accordingly, the demurrer to the claim for counsel fees was sustained. The court also struck the Plaintiff’s specific claims for dollar amounts for eight (8) separate categories of damages as being improper. Rather, the court noted that a prayer for relief should only indicate whether or not the Plaintiff is demanding compensatory damages in excess of or below the compulsory arbitration limit in the county. In the end, the court sustained some of the Defendants’ Preliminary Objections and overruled others. If you need assistance in resolving your premises liability case by way of a Mediation, please do not hesitate to contact me should I be able to help you bring your case to a close. Resume and fee schedule available on request. Thanks.